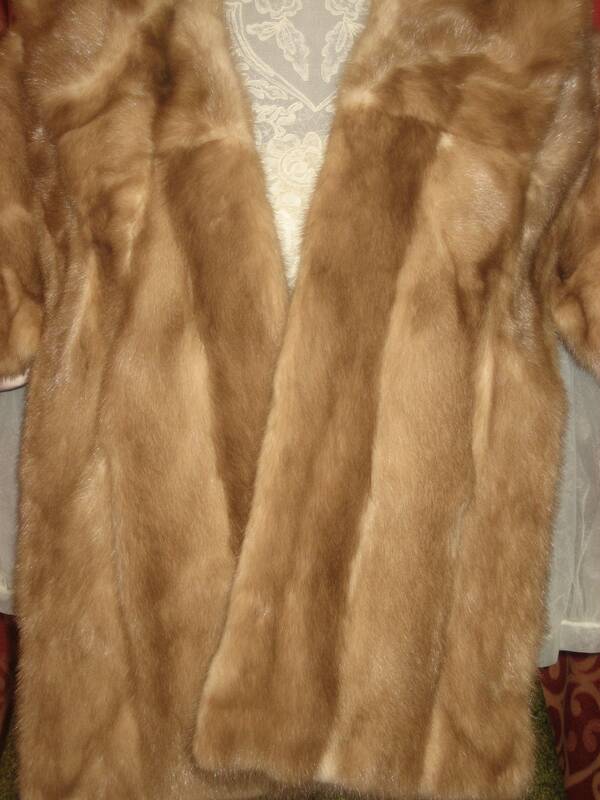 1960's, 21 long 17 wide, pastel mink stole. 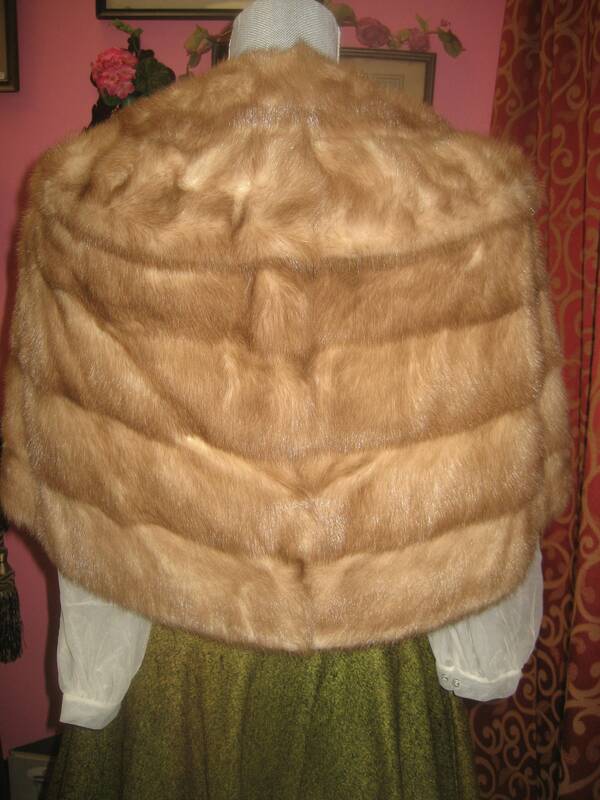 1960's, 21" long 17" wide, "pastel" mink stole. 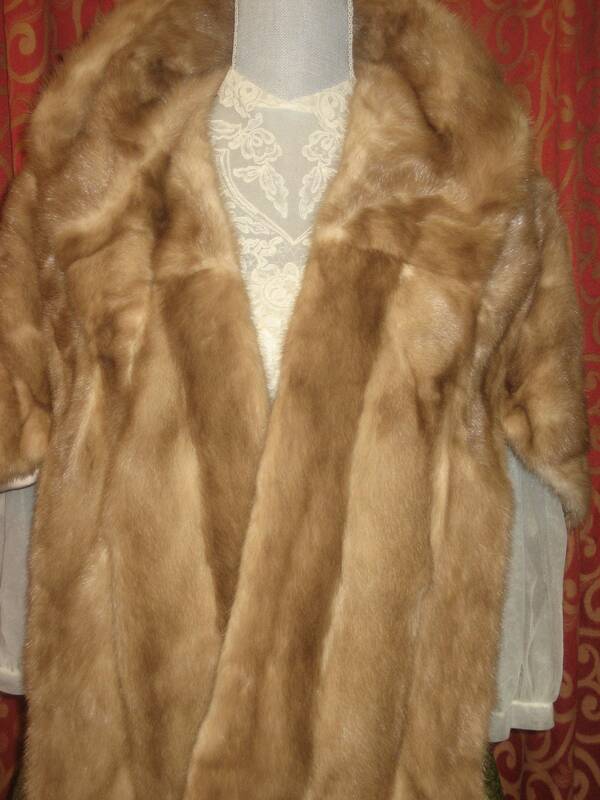 1960's, 21" long 17" wide, "pastel" mink stole. ( light tan). Stole is fully lined with gray satin silk. Pelts are full and very well matched. Deep collar merges with front panels. Outstanding fur piece.